for $179,000 with 3 bedrooms and 2 full baths, 2 half baths. This 1,831 square foot home was built in 1988 on a lot size of 110 X 295. ENJOY LAKE LIFE NOW! 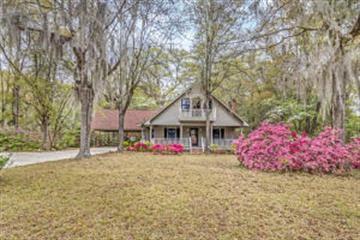 GORGEOUS A-FRAME COTTAGE ON 3/4THS ACRE WITH LAKE VIEW! GREAT ROOM W CATHEDRAL CEILINGS AND FIREPLACE. LARGE EAT-IN KITCHEN AND SEPARATE DINING. 3 BEDROOMS, 2 BATHS, MASTER BEDROOM IS DOWNSTAIRS. UPSTAIRS LOFT HAS 2 BEDROOMS AND 1 BATH. LOTS OF STORAGE SPACE. WRAP AROUND FRONT PORCH. MAINTENANCE FREE VINYL EXTERIOR. 2 CAR ATTACHED CARPORT. CENTRAL HEAT AND AIR. BIG BACK YARD FOR GARDEN. 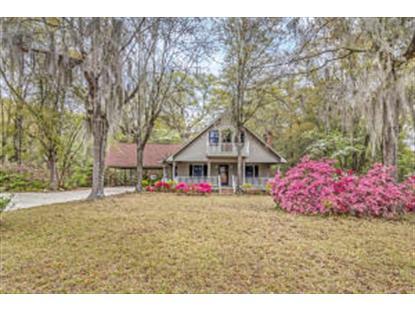 WHETHER YOU ARE FISHING, SWINGING, OR GARDENING, YOU WILL LOVE THIS HOUSE. GREAT 2ND HOME OR YEAR ROUND RESIDENCE! COMMUNITY HAS PUBLIC BOAT LANDING OR PRIVATE BOAT LANDING FOR A NOMINAL FEE. JUST OFF I-95, CONVENIENT TO CHARLESTON AND COLUMBIA.